Last year I discussed the possible Criminal and Civil consequences that combat sports competitors expose themselves to if they decide to cheat using PED’s. In short the legal issue revolves around fraud and this can open the door to far reaching legal consequences. Official MMA record keeper Kirik Jenness was kind enough to reprint this article on the UG (mixedmartialarts.com) and I want to thank Kirik for sharing this issue with his audience. For those visiting this site for the first time, welcome!. 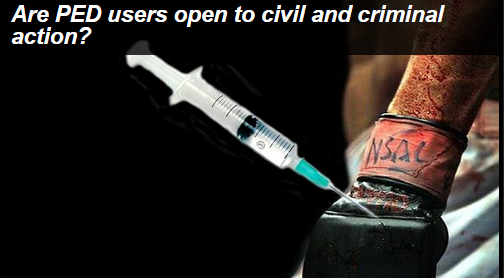 You can click here to read my archived articles discussing some of the perils of doping in the sport. On a positive note today the UFC provided further details about their plans to introduce a comprehensive anti doping policy for their roster. This is a step in the right direction and one that will hopefully lead to a drastic reduction of doping in MMA.